While on their homecoming tour of Cappadocia (Kapadokya), the Karagöz puppets stumbled upon the most wonderful restaurant in Ürgüp. 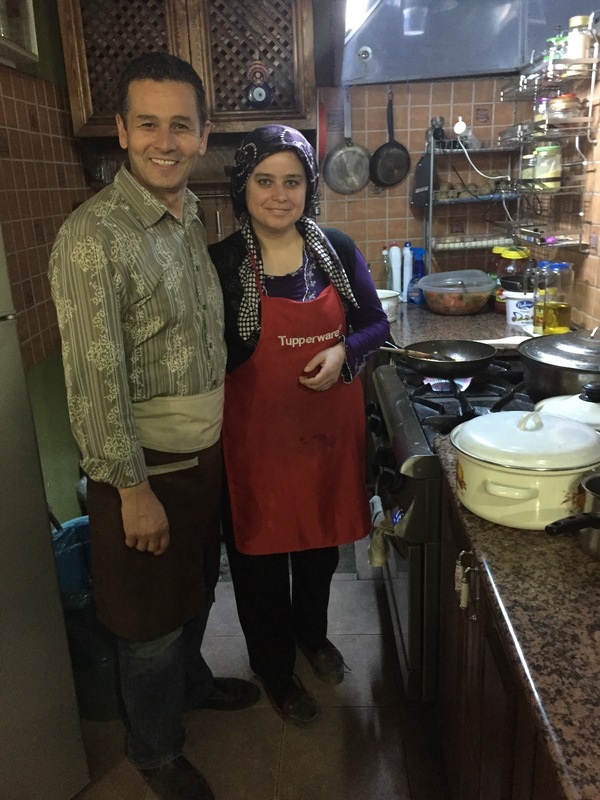 As you will recall, Mercan Bey, the spice trader, is an expert at finding amazing food no matter where he is in the world and there was no exception on this trip! In a town full of tourist-focused joints that looked lackluster at best, the Zeytin Cafe shines bright in green olive-colored light! Be sure to try Derya hanım’s luscious version of yaprak dolması (stuffed grape leaves) or taze fasulye (warm green beans in a rich tomato broth) for your meze (appetizers). Their salads are clean and bright with tomatoes, cucumbers, cabbage, lettuce and herbs from their own garden. 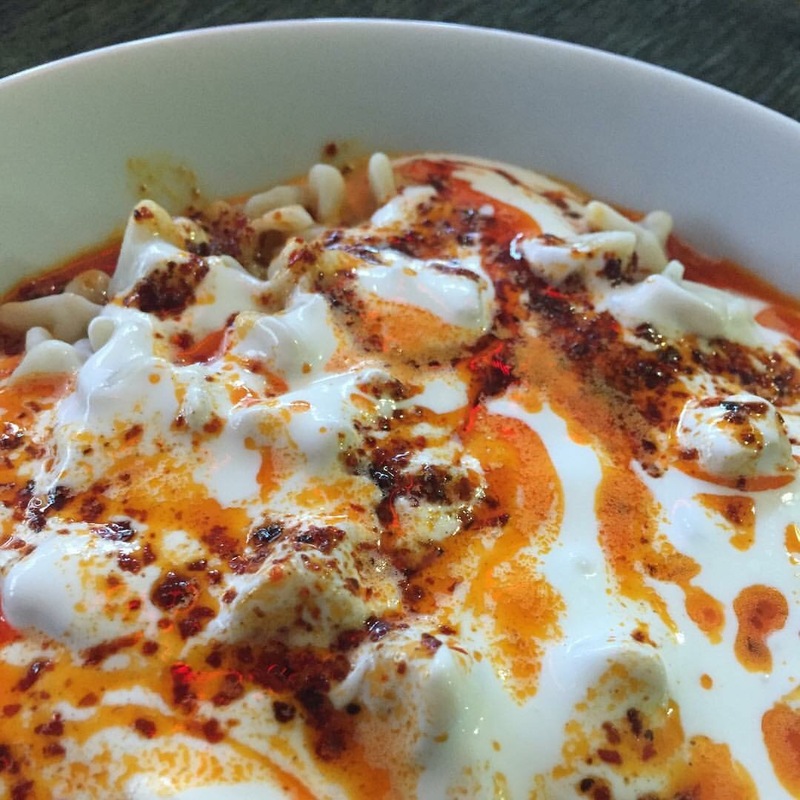 We tried several main dishes and were wowed by their version of mantı (tiny Turkish ravioli in a yogurt sauce with red pepper in hot butter), the best I’ve had in Turkey. Also wonderful was the saç kavurma which consists of small tender morsels of beef cooked in a wok-type shallow pan along with tomato and green peppers. This was so good that M. mopped up the sauce with şamadra (bread “buoys” in the sea of sauce). 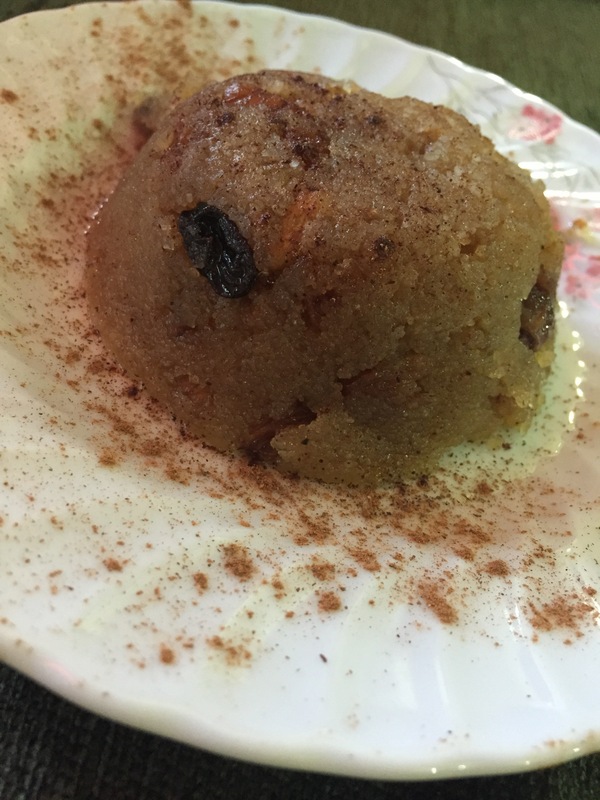 But the best was really for last – irmik helvası – which is a kind of semolina pudding with walnuts and golden raisins all cooked in butter. Derya hanım adds her special touch in the form of lemon zest, which made this the best version of this dish I’ve ever had! Two in one restaraunt! This food is the best of small-batch home cooking. You won’t want to miss it! 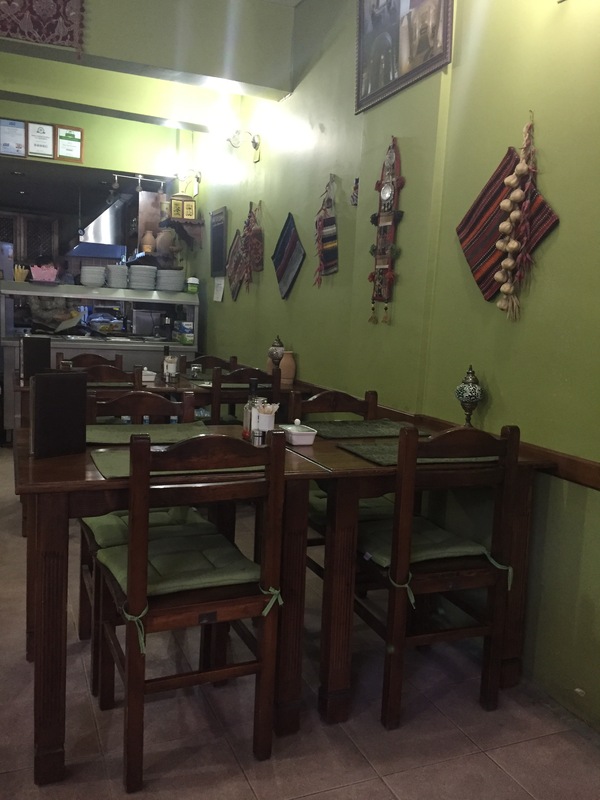 This entry was posted in Puppets on the move around the world, Turkish Food! and tagged Ürgüp, cappadocia, food, kapadokya, manti, saç kavurma. Bookmark the permalink. Remembering life by the Bosphorus–1972 to 1978. So long ago but still vivid. I’m sure it is, Janet! !